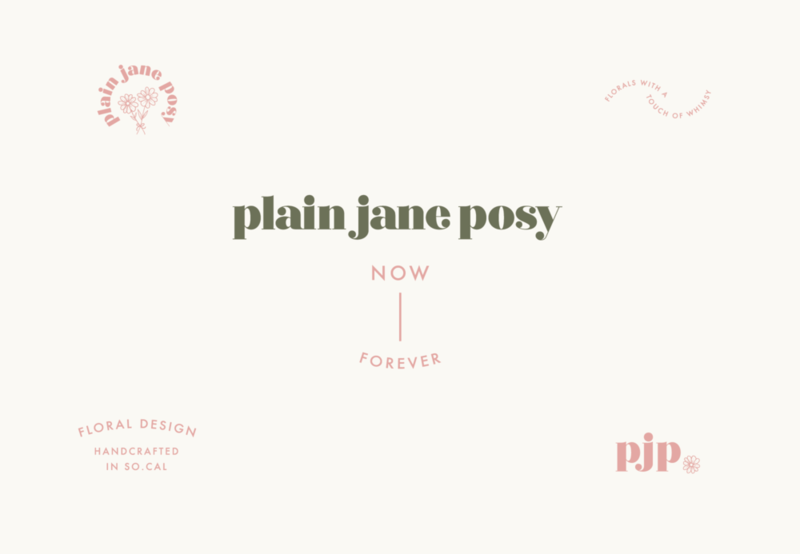 Plain Jane Posy is a garden style floral designer in Southern California crafting unique and whimsical floral arrangements that bring delight and charm to events. Owner Jane wanted to created a brand that had classic touches and a hint of vintage funk and flare without losing the delicate and beautiful aspects inherent in her medium. The final branding features custom typography and a petite bouquet that perfectly balances the festive with the romantic and gives Jane a look unlike any other floral designer that makes her stand out as much as her gorgeous floral designs.